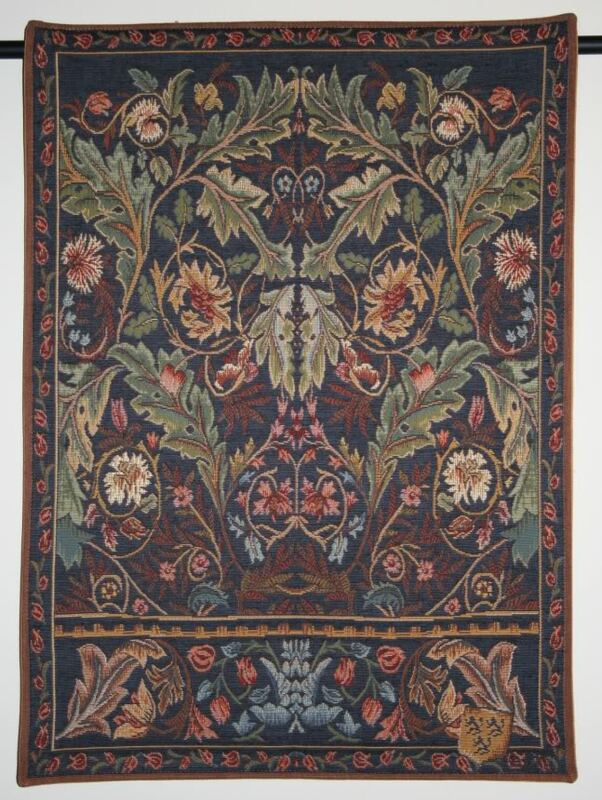 I don’t live in a drafty castle, but I still love the idea of hanging beautiful tapestries on the wall. 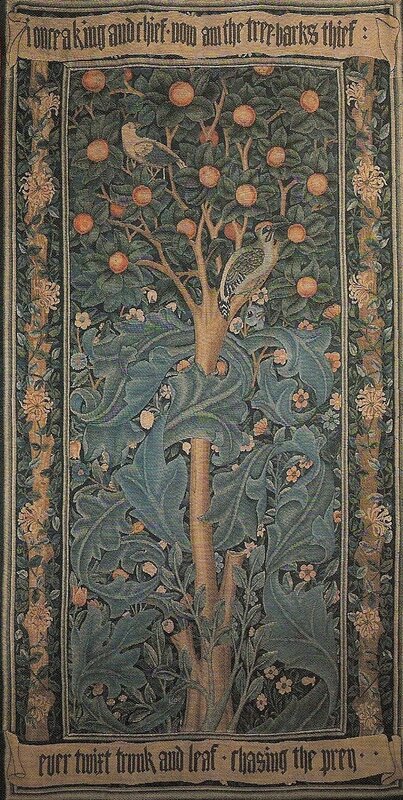 Imagine the warmth and interest one could add to a space with these tapestry designs by William Morris. 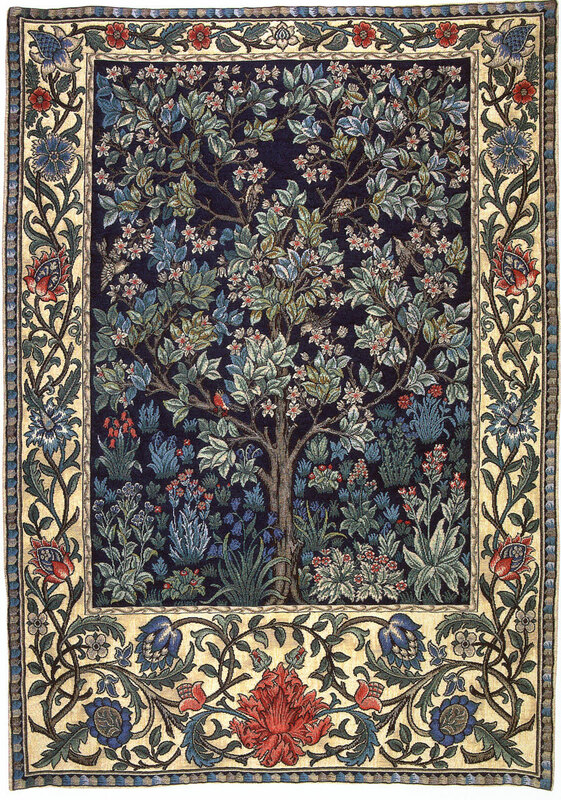 – to the many subsequent gorgeous designs. I am finding it near impossible to pick a favorite, but, if I were to choose, I would want something epic. 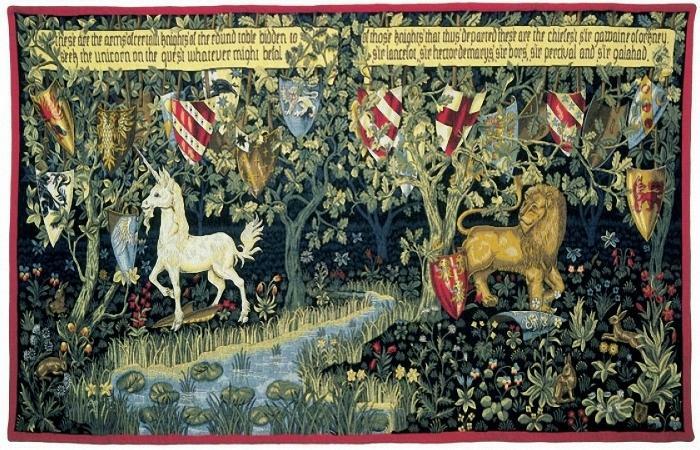 What could be more epic than a tapestry inspired by the story of “The Knights of the Round Table”, complete with a lion and a unicorn? 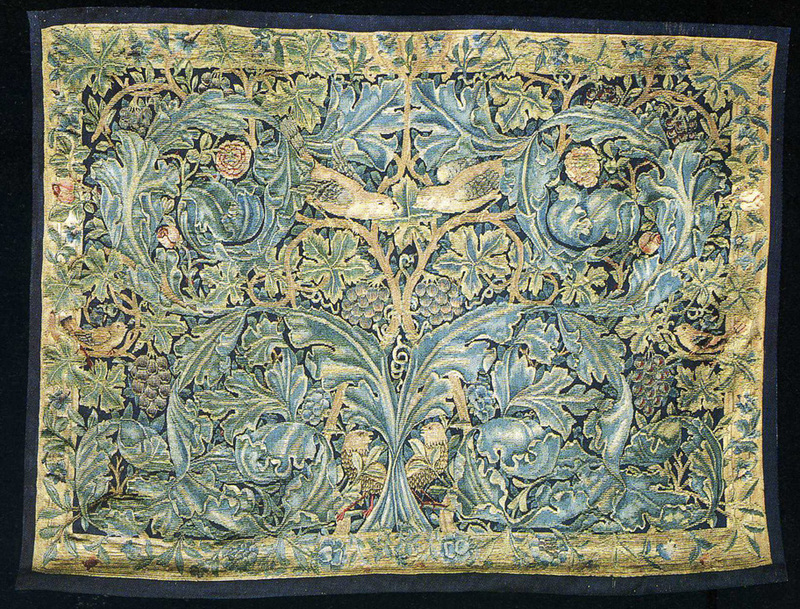 And so I say, pour the mead and let us toast to that fabulous designer of tapestries, Sir William Morris!